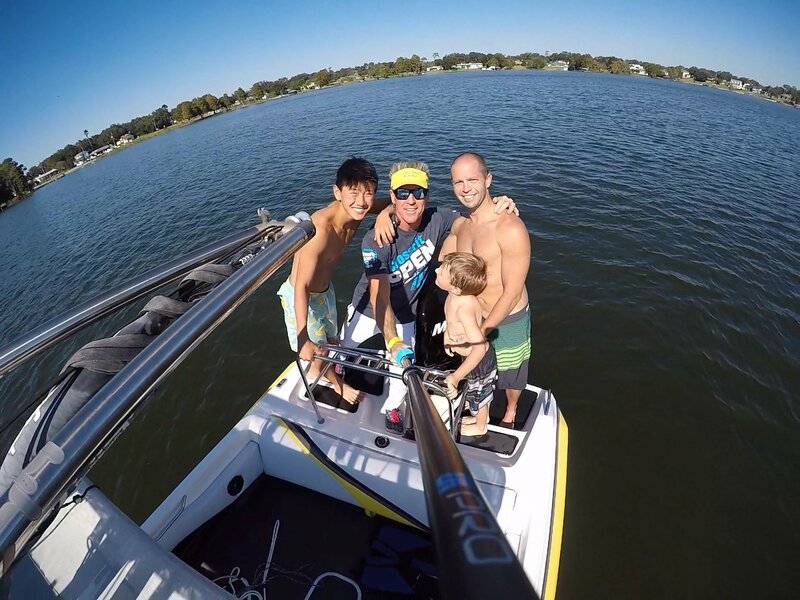 Lane “Dawg” Bowers is passionate about helping you achieve your barefoot skiing miracle safely and without falling. Many who have not personally seen how Lane achieves this in his personal lessons at TheFootersEdge Barefoot Ski School, think it is impossible, but for the thousands who are living the dream, it is a reality that has allowed them to enjoy the exhilaration of barefooting in a safe environment. Lane has taught barefooting to others worldwide for 25 years and has made safety and slow speed barefooting a reality that has allowed anyone from 4 years old to 400lbs learn to barefoot without falling! How does this Virtual Ski School work? this is a one-time charge for this service. You will not be billed again unless you choose to purchase another Virtual Ski School Lesson. If you choose to take advantage of our Virtual Ski School Combo, you will also be able to schedule a one-on-one call for additional help. LIMITED ENROLLMENT: Because I really want to blow the socks off my clients with amazing results, I am only offering this Virtual Ski School for a limited time and for this discounted price for a short time since these Virtual Ski School lessons are time-consuming and something I take great pride in getting my clients the barefoot skiing miracle they desire. My Personal Goal: My goal is that you are so excited about my personalized help with your video that you can not wait to tell others about your amazing experience. Anything short of that is a fail in my book. I look forward to helping you achieve your barefoot skiing Miracle! accomplish a lot. I used to tell people years ago that every day with me is worth at least a year or two on your own. up to 5 skiers for the same price. You can choose to have anyone up to the 5 people watch or ride. I will be updating my website soon. I personally guarantee all lessons to be the best you have ever had or they are free. falling. I also specialize in teaching backwards barefooting, tumble turns and every other trick in the book safely. 1. 1-on-1 lessons with Lane “Dawg” Bowers for all your instruction. 2. GoPro footage that you can take as a souvenir. 3. In addition, I will be following up with a free phone consultation and a free video analysis at your convenience after you leave to make sure everything is safe and going well once you leave. 4. BOTH my DVD’s will be sent in advance of the lessons as a bonus. 5. Once I receive your goals for the upcoming lesson, I will be sending some material in advance to get you mentally prepared for your lesson. Lunch included with the full day. Check out me teaching 2005 World’s Strongest Man, Phil Pfister, to barefoot. amazing experience. Anything short of that is a fail in my book.